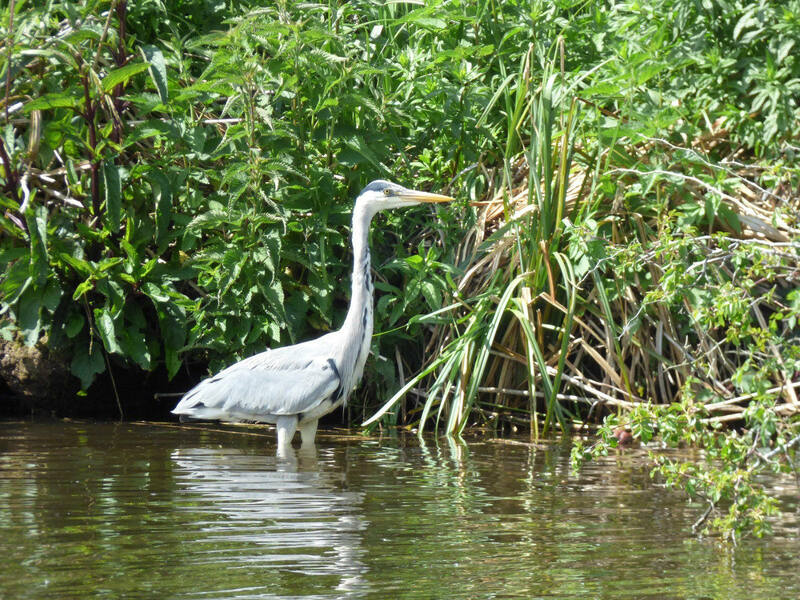 Now is a wonderful time to be heading out on a Norfolk Broads Direct boating holiday as there is so much wildlife to see. We have lots of newly hatched young to spot and otters are making an appearance with surprising regularity. 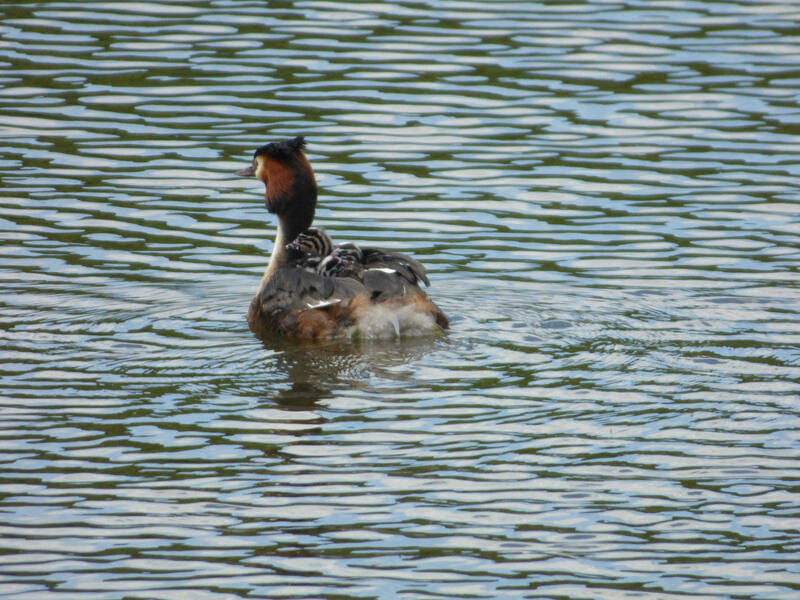 This year there were five Great Crested Grebe pairs nesting on Salhouse Broad and three have already hatched delightful little “Grebelets”. A real highlight of a holiday is seeing the Grebelets being carried around on their mother’s back – as shown on this picture. There are still two Grebes sitting on their remarkable floating nests on Salhouse Broad. It’s surprising how many materials are used to build the nest – from lily leaves to reeds and even a gold chocolate wrapper that one has collected as decoration. The male Grebes work really hard collecting these materials and then pass it over to the female on the nest who carefully decides where to arrange the “furniture”. 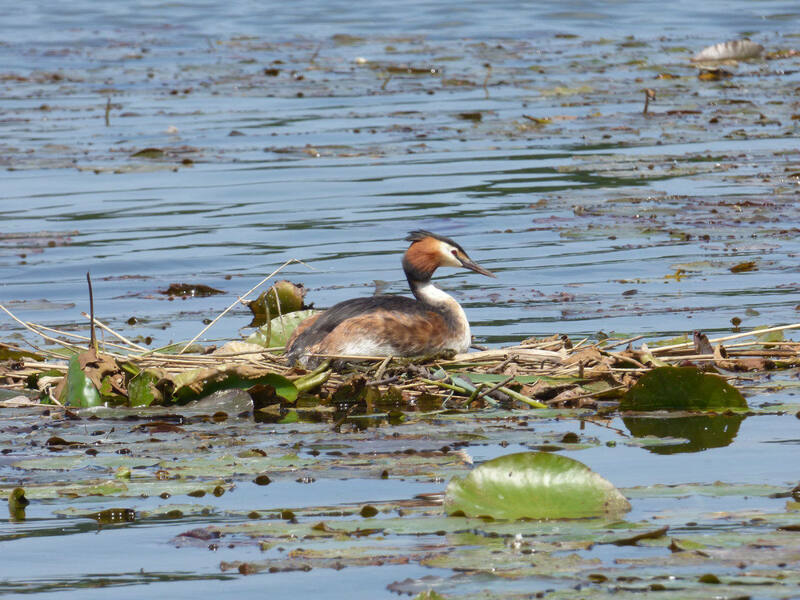 This picture shows a Grebe nesting on the nearby Hoveton Great Broad, which is a “must visit” destination on your NBD boating holiday. The nature reserve is a real wilderness that has been cut off from boats and any kind of civilisation for over a century. However, you can visit it via a special boardwalk, that can only be reached by boat by coming to some special moorings run by Natural England. 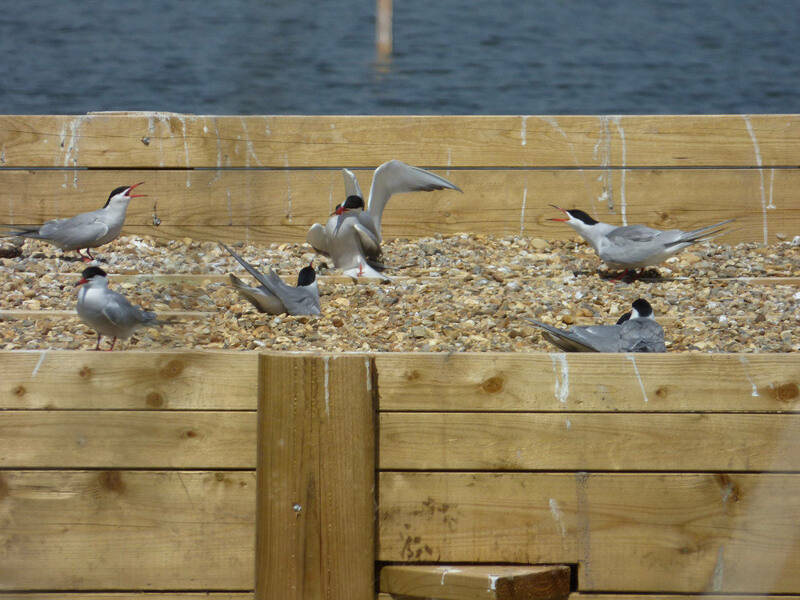 A highlight on Hoveton Great Broad is a large number of Common Terns arriving from Africa to nest on a specially designed nesting platform (shown below). The population is being carefully surveyed by Natural England, as fewer Common Terns had arrived in recent years but things are looking more positive for 2017. It’s not just the Common Terns using the nesting platform. 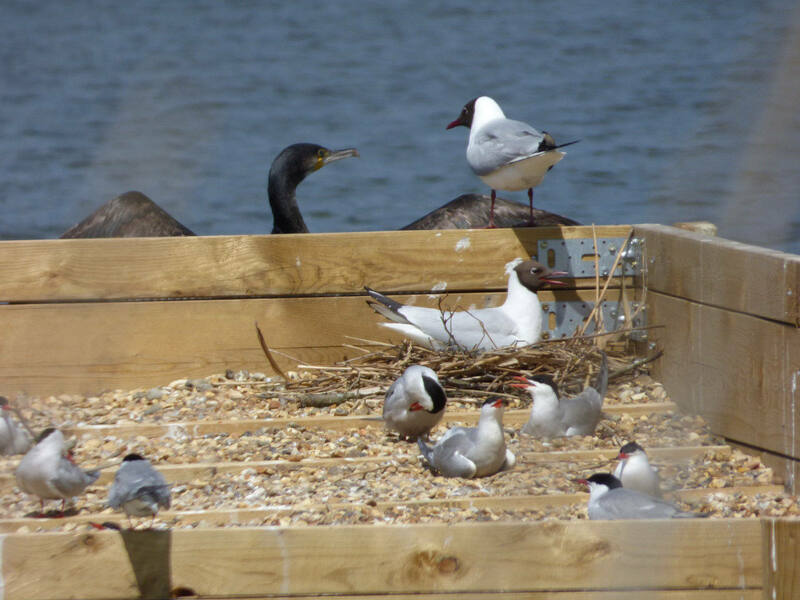 This picture shows a Black Headed Gull nesting amongst the Terns as well as a Cormorant peering over. This situation is being monitored by Natural England as black Headed Gulls can outcompete the Terns, but also offer more aggressive protection against predators. In short, it’s hard to say whether the Black Headed Gulls are a good or a bad thing for the Terns but we will keep you posted! 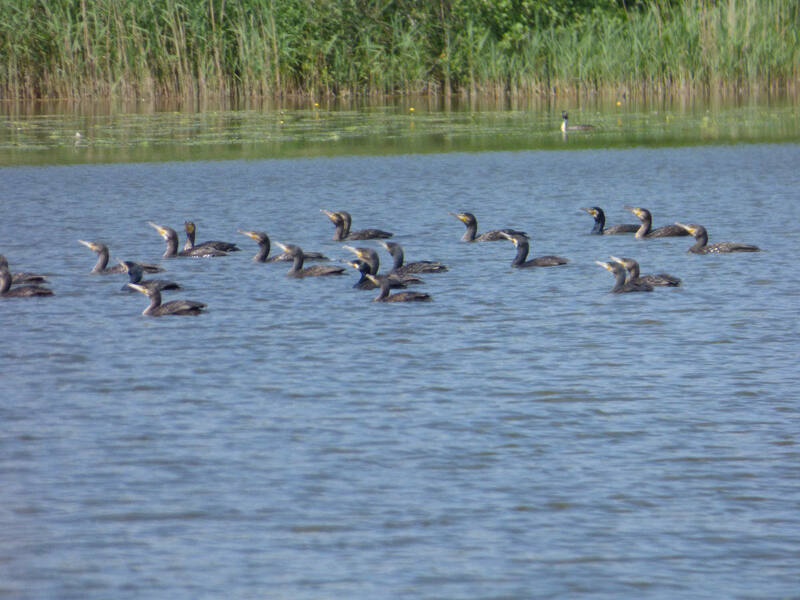 On the subject of Cormorants, very large numbers of the sea birds are arriving on Hoveton Great Broad and this picture shows them seeming to hunt in packs – although in reality they could all just be following a large shoal of fish. 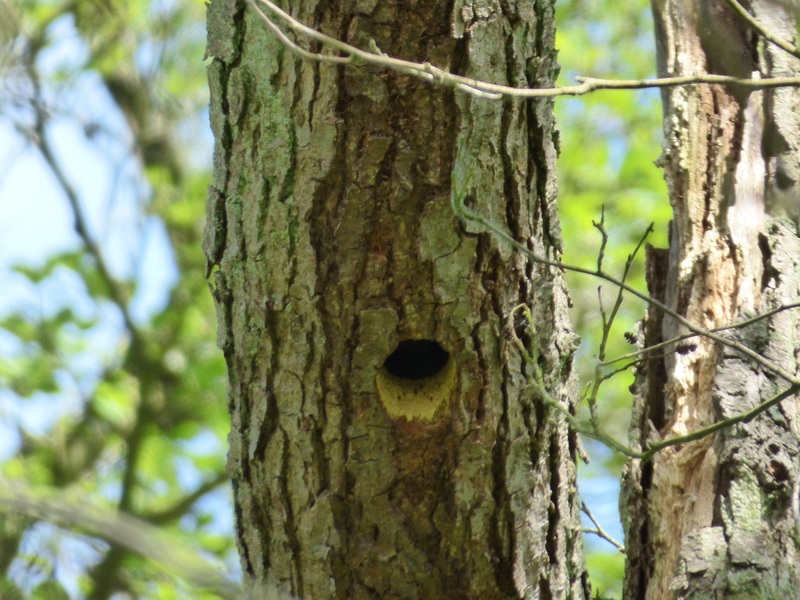 In amongst the jungle-like carr woodland at Hoveton Great Broad nature trail that holiday makers have been enjoying watching a Woodpecker feeding her chicks in a hole in a tree – as shown below. Back out on the river near Wroxham Broad we took these lovely pictures of a Heron hunting in the margins and a Gadwall duck. 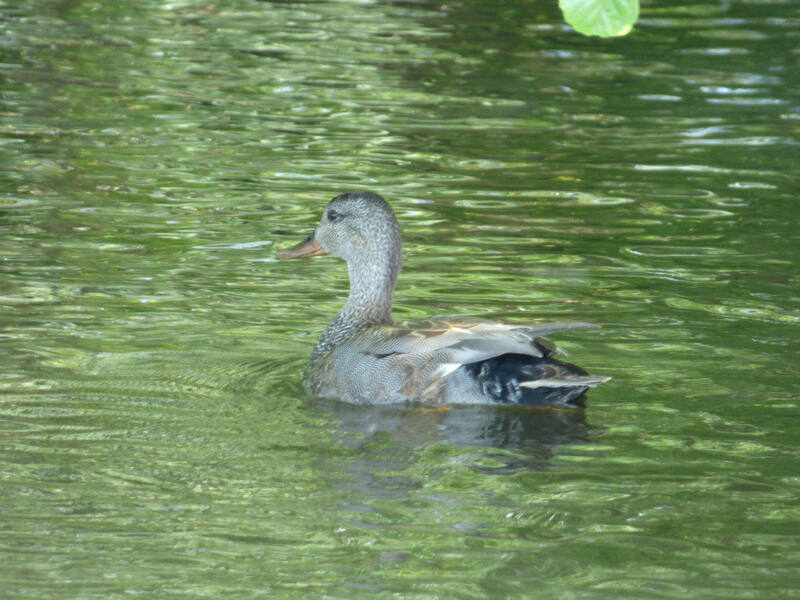 Take a close look at this endangered duck, which is on the RSPB Amber list, and you’ll see that it’s grey colour is made up of exquisitely fine barring and speckling. 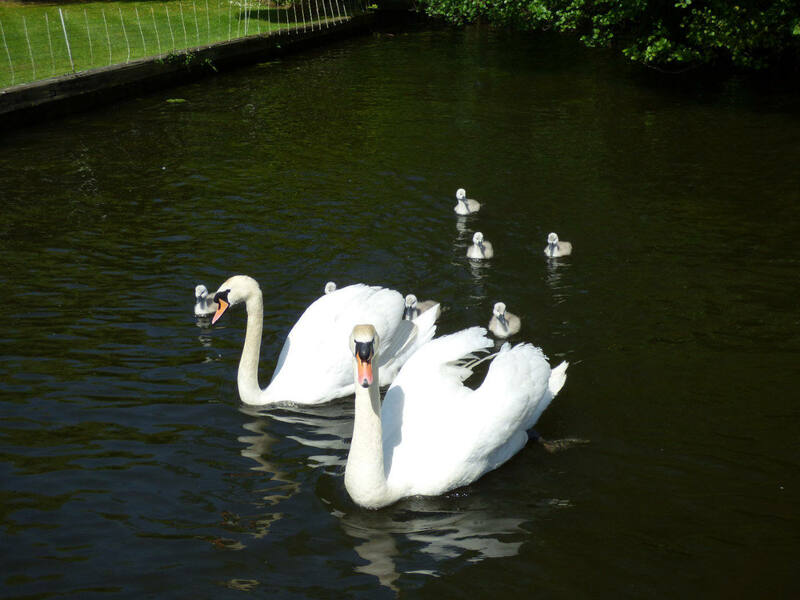 Back in Wroxham we now have three families of swans with their delightful little Cygnets. 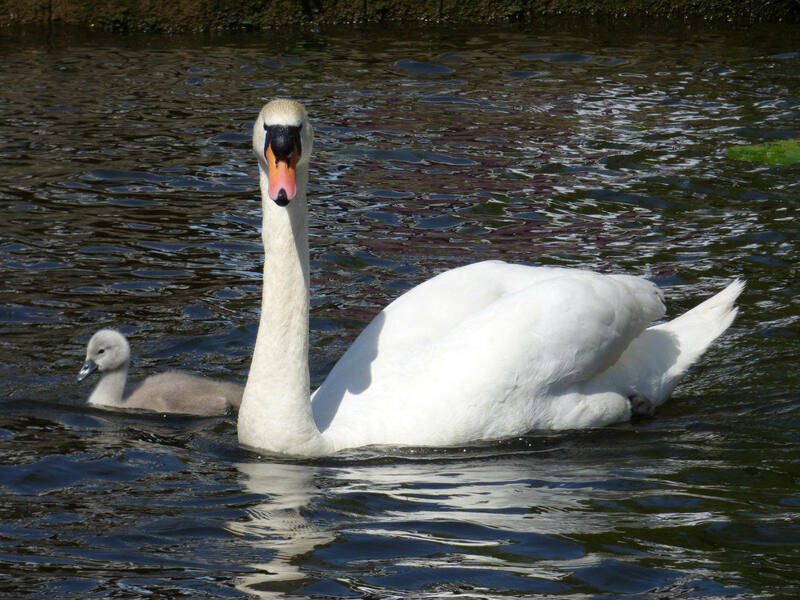 The swans seem much less territorial than last year and seem to be crossing over territory within the river without too much squabbling. Excitingly, the NBD boatyard is proving a hotspot for otter activity. Years ago Otters would have been a very rare sight indeed but we are now seeing them with remarkable regularity. We managed to film a dog otter walking across our car park while another member of staff had an otter come up right under his feet while filling up the water tank of a boat. 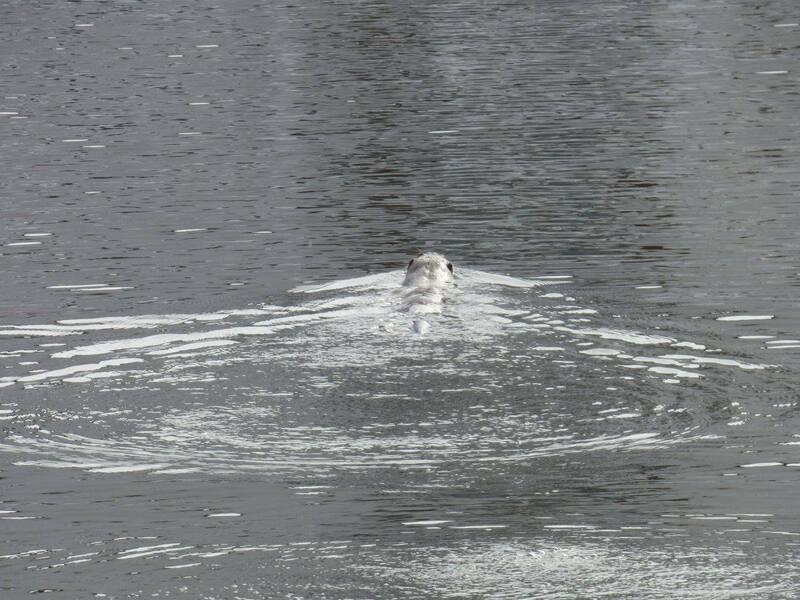 He managed to grab his camera in time to show the otter swimming away across our boat basin. Perhaps our favourite sighting came when an otter ran right behind a lady tending to her riverside garden in Wroxham village without her even noticing it! 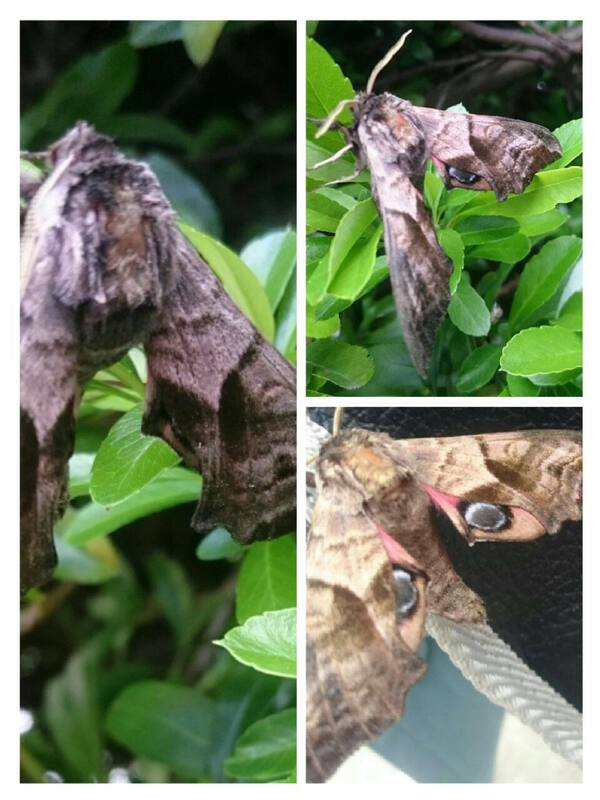 Another great sight in our boat basin was this beautiful Eyed Hawk Moth. If provoked the insect flashes its hindwings, which are decorated with intense blue and black ‘eyes’ on a pinkish background. But perhaps our favourite sighting of an insect at the moment is Norfolk’s iconic Swallowtail butterfly – which we have spotted around the reed beds of Woodbastwick reach and is also being seen at Hickling Broad and How Hill amongst other places accessible on your holiday. It’s Britain’s largest butterfly, with a swallow like forked tail, but is only found on the Broads because its caterpillar can only eat a plant called milk parsley, which will only live in Norfolk’s reed and sedge beds. If you haven’t booked your NBD holiday for 2017 don’t miss out on all this wildlife! Call us on 01603 782 207 for more information.